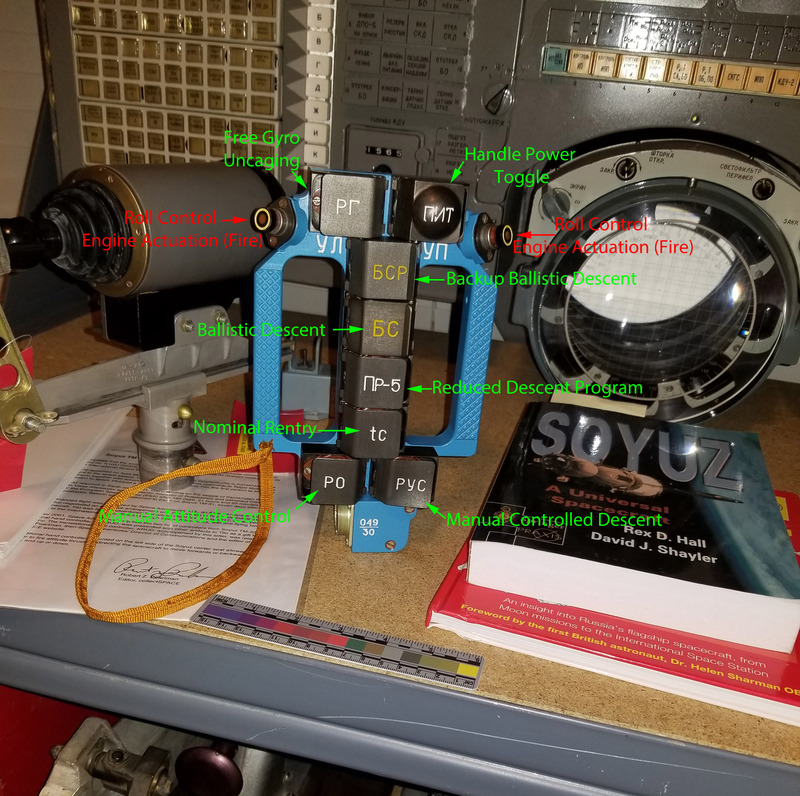 Another add, this РУС (Manual Descent Control Handle) sits patiently ignored through much of Soyuz Spacecraft's operation, tucked underneath the main control panel; during descent it finds its way into the tightly clutched hands of the Commander or Engineer. 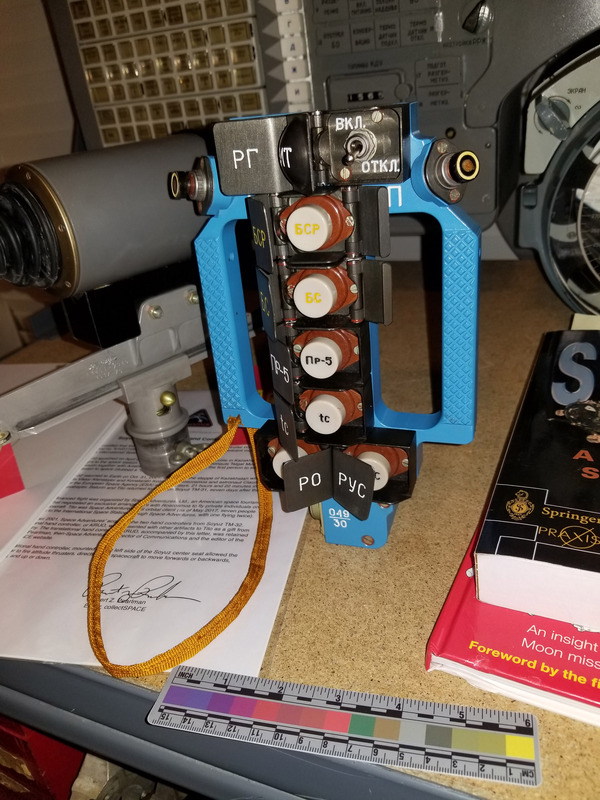 The controller is available for activation during off nominal reentry to allow one of 3 crew initiated alternative reentry options including a Manually Controlled Descent mode, Ballistic Descent mode, and backup Ballistic Descent mode. Toggles allow the commander to fire roll control thrusters altering orientation of Soyuz axis with respect to reentry path (the orientation change allows the crew to slightly tweak/steer vehicle trajectory down the reentry corridor). As these seem to get reused on subsequent flight vehicles, not many make their way onto the market.